Make your Anza a jumpsuit or a dress, or one of each! The Anza takes the guesswork out of a look that’s haute from head to toe with its integrated, cuffed sleeves and front-buttoned V-neck. Adorned with different accessories, you can wear the Anza to the office or to a party—a truly versatile addition to your wardrobe! Don’t want to print and tape paper together? The Anza Jumpsuit & Dress pattern now includes an additional large format file (size A0 paper) that you can send to your print shop to print! Determine your cup size. You can use the cup size you typically wear. 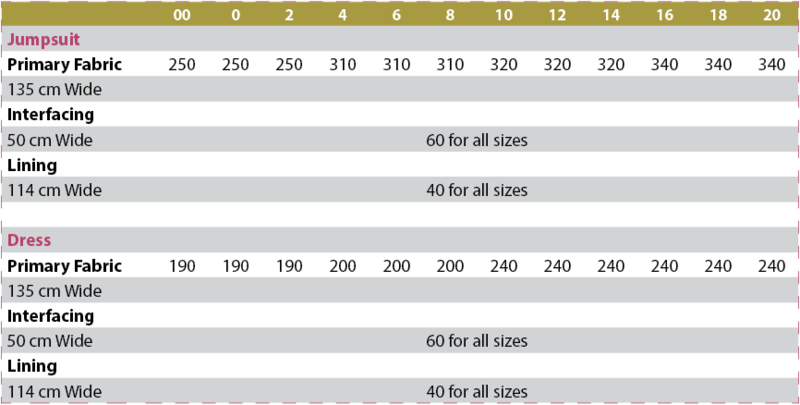 After determining the cup size, compare your bust circumference (fullest part) to the “Body Measurements” table. Using the corresponding row for your cup, choose the size that best fits your bust. If you are between sizes, choose the smaller size if you like your garment more fitted; otherwise, choose the bigger size. It’s OK to use different sizes for the bust and waist/hip. See “Blend Sizes” in the instructions for details. 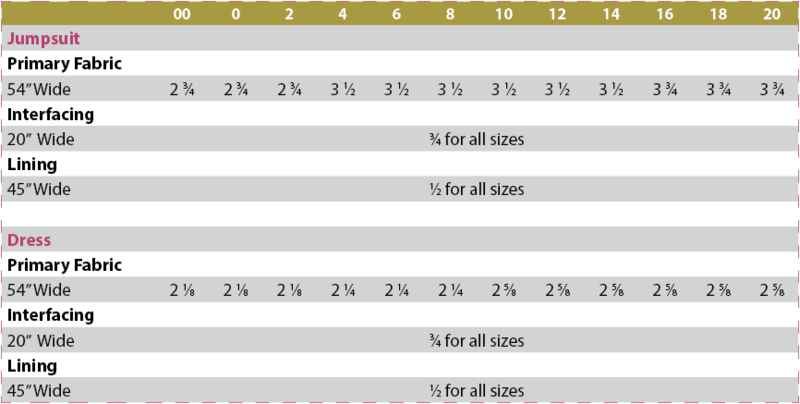 If you are taller or shorter than 5’6” (168 cm), you should consider lengthening or shortening the bodice and/or the pant legs/skirt (see “Lengthen/Shorten” in the instructions). I highly recommend that you check your fit by making a test garment with inexpensive fabric that has similar weight as your final garment fabric. Absolutely love all your patterns. Just love this pattern! It has a very good instruction manual. The fit for me is perfect.